5. let go: it's blocked! Note! do not unscrew it more than 180°, which will completely unfasten the doorstop. That said, this is a well-designed German quality product: all you have to do is re-screw it in the other direction and it will work as before. This high-end doorstop combines impeccable design and efficient functionality. 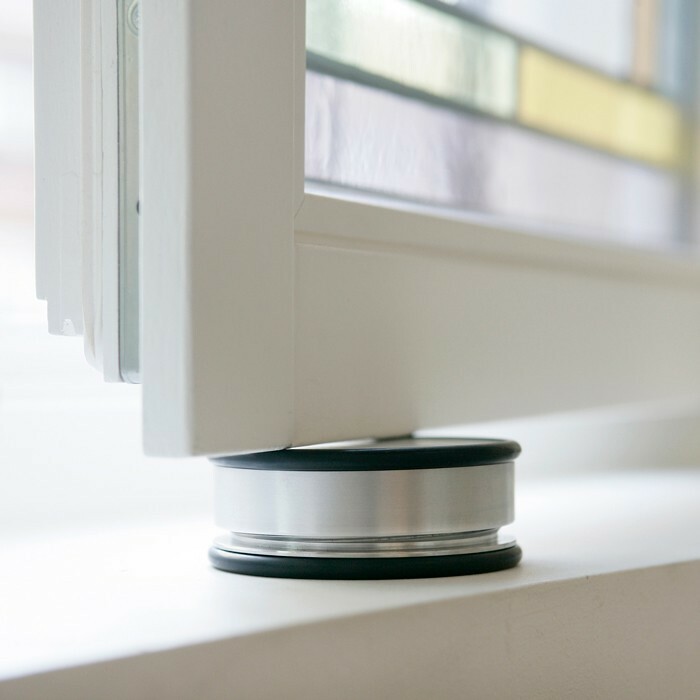 Designed in Germany, it was conceived for the type of window that is often found there (deep windows with large interior windowsills), but it is very flexible: it can work as a traditional doorstop, but it can be used for all sorts of situations, thanks to its ingenious spring system and size. versatile - there are hundreds of doorstops out there, but this one is different. 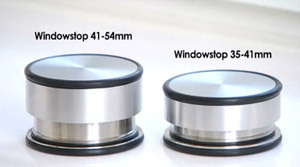 While you can easily use it as a conventional doorstop, in can also elegantly block casement windows, whether they are French windows that open out, or casements with large indoor sills. quality - a sturdy product, perfectly finished, simple, and virtually indestructible. Made in Germany.